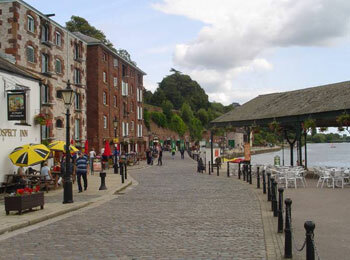 With a history that is thought to date back to Celtic times, Exeter, the capital city of the county of Devon, is one of England’s oldest cities! It is located at the crossing point of the River Exe which seems to have once been a gateway to the entire south-west of England. As one of Britain’s safest cities, Exeter is a wonderful place in which to learn English, surrounded by natural beautiful surroundings and some of the best beaches in the country! Although a busy cultural centre, the city is not dominated by tourism, making it attractive to international students, who would like to get to know the British way of life. The most interesting sights and attractions in Exeter are surrounded by a medieval wall which remains mostly intact and adds a lot of character to the city centre. Since 2004 Exeter has been home to the Met Office, the main weather forecasting organisation for the entire UK and one of the most important in the world! The Met Office is one of the three largest employers in the area. Aside from the magnificent Cathedral, Exeter offers wonderful dining, shopping and sports opportunities, as well as incredible countryside surroundings to discover in your free time! Our English language school in Exeter was founded in 1978 and so has been offering high quality language courses in a friendly and relaxed setting, for over 35 years! The school building is located just 10 minutes’ walk from the central station, shops and sports centres and has its own spacious garden overlooking the Exe valley. Each classroom has whiteboard, and multimedia equipment for use in the classes. 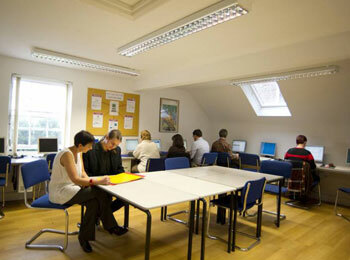 There is a self-study centre with well-stocked library, free Wifi throughout the school and gardens, including use of computers, scanner and printer. The school also has a private study room with web-camera for students to use. There is a lounge with free tea and coffee facilities and students can also make use of kitchen to prepare lunch or snacks as they wish! The school has 2 sunny terraces and a large private garden, as well as possibilities for volleyball, basketball and billiards. There is a maximum of just 6 students per class in the group courses at our school in Exeter, with an average of 4, giving students individual attention and a lot of possibility to participate in the classes. The teachers are all native speakers, trained in teaching English as a foreign language and there are courses available for students of all language levels, starting on any Monday! Whether you are looking to improve your everyday English skills and conversation skills, to gain knowledge in Business English, to study for an exam or to improve your English for your future career, our school offers tailored and specialist courses to meet all requirements! The Intensive and Super-intensive programmes are made up of 20 or 28 lessons per week, covering all language skills and using a wide variety of resources to engage students in the classes as much as possible. These courses will help you to achieve confidence, accuracy and fluency in all areas of the language. There is a Business English course, made up of 28 classes each week, dedicated to helping students develop the necessary skills for a professional working environment, including skills for hosting meetings, telephone confidence and business presentations. The course and the individual needs of the student are discussed in advance with the teachers, so that the classes are delivered in the most useful way. Students need an intermediate level of English to take this course. Visits can also be arranged to local companies as part of the programme. Students who are interested in sitting the Cambridge English Exam can choose the Exam Preparation course at our school in Exeter for 9 or 10 weeks. This course aims to introduce students to all of the exam components in detail and to provide examination practise. The programme is course-book based, with a wide range of additional resources available in the school’s self-study centre. A mock exam is included around week 8 of the preparation course and there are specific start dates to coincide with the exam dates. Another specialised course is our Teacher’s refresher course for all non-native teachers of English, consisting of 28 classes per week for 2 weeks, devoted to offering all participants new methodology in modern teaching practises and practical classroom activities. There are 2 separate groups available - for primary and for secondary/adult teaching. 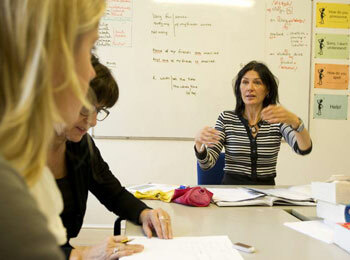 Private English classes are, of course, also available for all students who are looking for tailor-made English classes. Students at our school in Exeter have the opportunity to live with a local British family, which is the best type of accommodation to choose if you wish to meet the locals and to practise your English as much as possible outside of the classroom. You can learn about daily-life in England and enjoy home cooking on a full-board basis at the same time! The majority of the host families are located just 15-30 minutes walking distance from the school and this option includes breakfast, a packed lunch and the evening meal. A higher standard of host family accommodation which includes a private bathroom can also be requested. 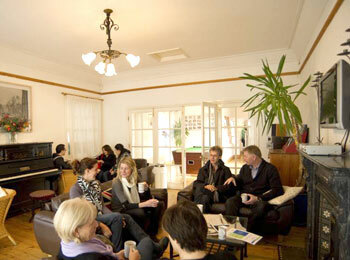 Homestays are the most popular choice of accommodation at our school. 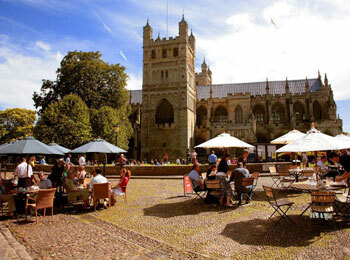 Alternatively there are self-catering shared student apartments, as well as private apartments available in Exeter. Most of the apartments are onsite and they vary in size, depending on the number of students sharing. The apartments all have a fully equipped kitchen, living area and bathroom. There is free wireless internet access and a TV/DVD in all of the apartments. The school’s social and activities programme gives students the chance to get to know one another and their teachers, to practise English and to discover the city and its surrounding area. Most events and excursions are subject to an additional fee, but they are subsidised by the school and so they are excellent value. There are parties and traditional pub evenings, cooking sessions, quiz nights, as well as visits to historic monuments and other places of interest. There are theatre and cinema trips, barbeques in the school garden and the chance to play board games, billiards and table tennis. Excursions further away include visits to Salisbury, Stonehenge, Cornwall, Oxford and of course London! The staff at the school will be more than happy to help and advise you with regards to any activities that you wish to organise in your free time, in addition to the school’s social programme. 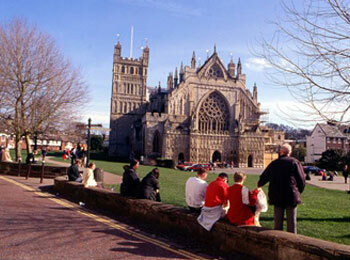 Exeter is just 2 hours by train from London and all main public transport routes are direct to Exeter. You can book an airport transfer on your arrival, however, this is not included in the course fees. Please contact us for any further arrival queries you may have. 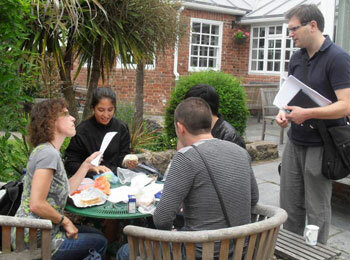 It is a nice language course with nice teachers and a lot of excursions after the lessons.